Vadencourt British Cemetery, Maissemy – Grave IV. D. 5. 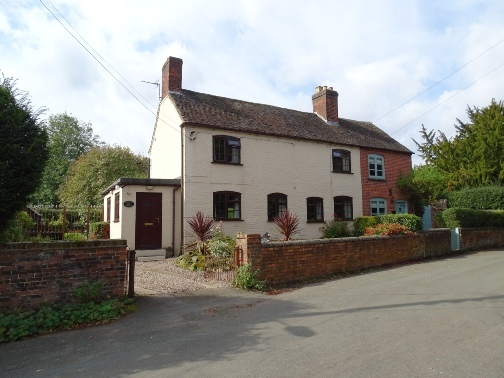 Edward was a Farm Servant in Civilian life and whilst he was born in Uttoxeter, he lived in Church Cottages, Wall (near Lichfield). Edward was awarded the British War Medal and the Victory Medal in recognition of his service. 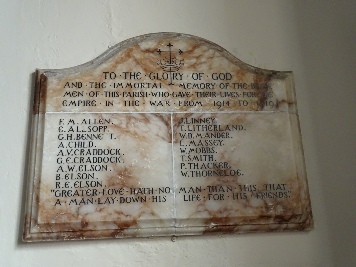 Edward joined up at Lichfield4 on the 26th of November 1915. 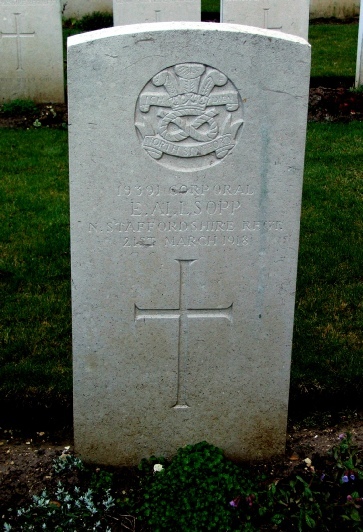 He was 19 years old and although he had received call-up papers from the South Staffordshire Regiment, he enrolled into the 1st Battalion of the North Staffordshire Regiment. 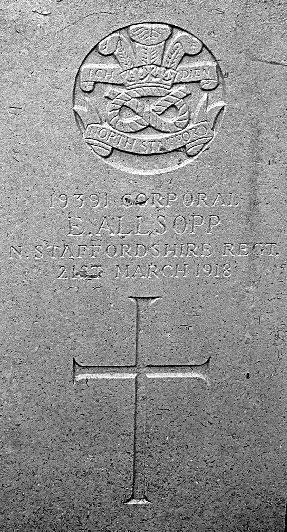 Initially he served as 19131 Private E. Allsopp. At the time of enlistment he was a diminutive 5 ft 3½ inches tall and had a chest measurement of 34½ inches. He gave his religion as Church of England. He was posted with the British Expeditionary Force on the 6th of June 1916, having served in England until the 5th of June 1916. He therefore went abroad less than a month before the opening of the battle of the Somme and saw action at the Somme, during the Spring Offensives of 1917 (the Battle of Arras) and the Battle of Passchendaele. He was appointed as a Lance Corporal (without the associated pay) on the 28th April 1917 and this was confirmed with pay on the 27th of August of the same year. He was promoted to a full Corporal on the 14th of November 1917, which corresponds with the closing stages of the Battle of Passchendaele. He was Killed in Action at the age of 22 on the opening day of the German Spring Offensives of 1918. This was when Germany poured vast armies into the Western Front in an attempt to win the war before the Americans could mobilise effectively. 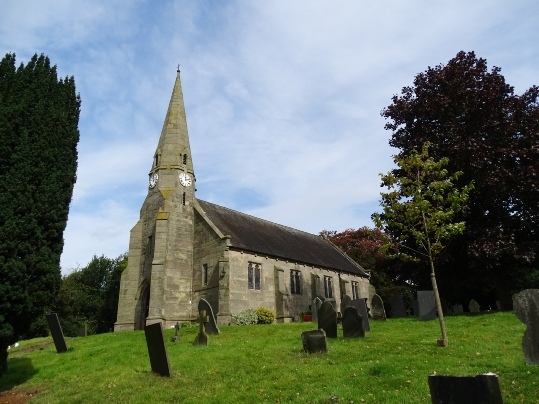 Wall Church, War Memorial and Church Cottages today.